Video Recipe - The butter you buy has had all the flavor washed out to improve durability. You do not need to do that with the home-made version, and therefore it tastes much better than the butter you can buy. 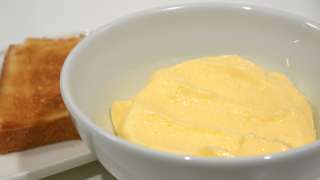 It is also pretty easy to make your own butter, so why not try it the next time there's a party? 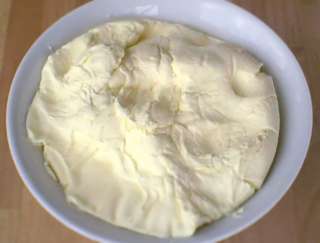 Here is also a few extra recipes and tricks about butter. Video Recipe - Tiramisu is one of my favorite desserts. Unfortunately, it requires large amounts of mascarpone. It is a cream cheese that costs an arm and a leg here in Denmark. And a kidney. Fortunately, it is one of the easiest cheeses to make yourself, and it requires only two ingredients. 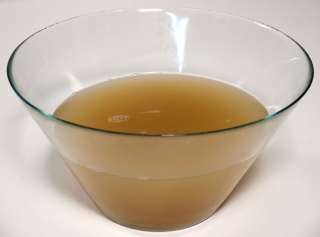 It is not as well known as the classic chicken stock, but it is just as usable, faster to make, and good to have in ones arsenal. Especially if you have vegetarian friends. Video Recipe - It is a LOT of fun to make your own cheese and it's actually pretty easy. 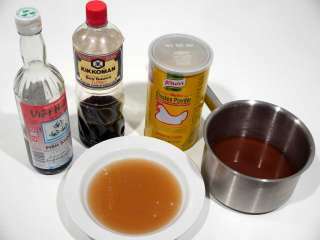 It does takes a little bit of utensils and ingredients that you don't normally have, but they are easy to obtain and it is definitely worth the effort. The funny thing is that all the cheeses we know have the same basic recipe. Just small changes in how you follow the recipe gives the different cheeses. So if you can make a kind of cheese you can actually make them all. 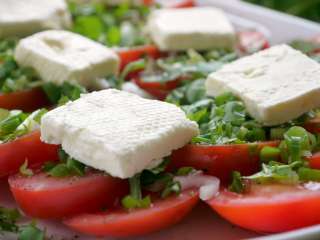 Feta cheese is one of the easiest and fastest. And you don't have to wait a month before it can be eaten. Therefore, it is an ideal starting cheese. Video Recipe - Typically we fry a leg of lamb whole. Because it's the easiest to do. But a really good trick is to debone and butterfly it. You can cook it a lot faster then. The flattened shape also gives more room for a browned surface. You will also get more of that smoky barbecued flavor all oever the meat. Or you can roll them into a meat roll with marinade inside, so you get the marinade flavor onto all of the meat. 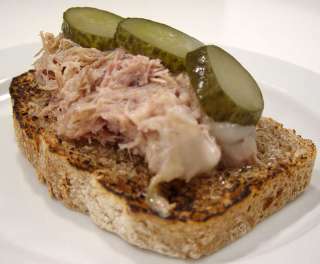 Rilette is a method of preserving meat in fat, as a kind of finely divided "head cheese". The fat ensures an oxygen-free environment that prevents salmonella and other nasty bacterias. It tastes great, and once in a while I just have to have it. It is also a great sandwich filler. Video Recipe - A delicious jelly of fresh juice really is a cheap trick. 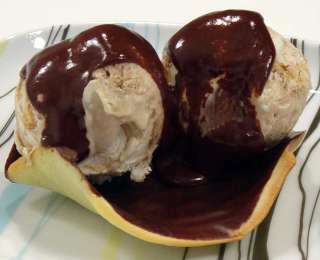 It can be a dessert in itself, or fruit pieces on top of a pie can be brushed with it to make'm shine. It can keep the sliced fruit fresh, on top of the cake. 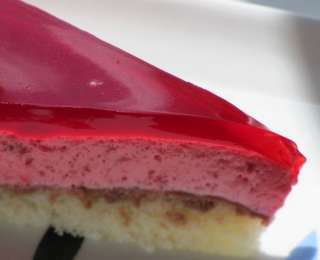 You can put a thick layer on top of a cake and make it brighter, more beautiful and delicious. 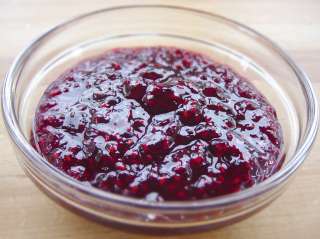 Moreover, jelly was one of the first molecular gastronomy foods that was made. In the olden days it was only the nobles who got it. Now we can too. I love soup and a good stock/broth, and do not mind spending hours to make it. But it's not always that I have the time or the ingredients in day to day life. It is also not always necessary. Sometimes you just need a tasty stock for the daily food. 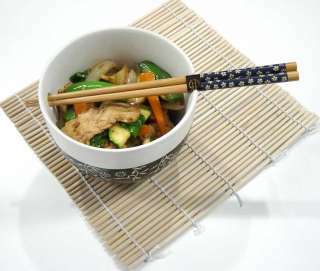 This is a miso inspired "fake stock". Raspberry and strawberry marmalade are made the same way. Actually you can use almost any type of fruit using this one recipe. It's the classic peasant's recipe. Pound for pound: "A pound of sugar to a pound of berries and boil to the right consistency." There are a few tricks worth knowing though. It is a part of many recipes, but it is rarely described in depth just exactly what a "bouquet" is. 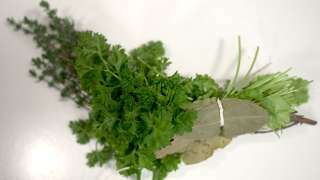 Bouquet garni means "a bundle of herbs". There may be several different kinds of herbs in it. The classical version consist only of parsley, thyme and bay leaves. The typical mistake is to make it too small with to few herbs. 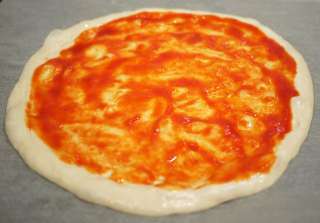 The best pizza base with the large air holes in the crust and lots of flavor is undoubtedly the wet long-risen dough. It is also easy to make. Do not knead anything. But you need to start your day in advance if you need to reach it. 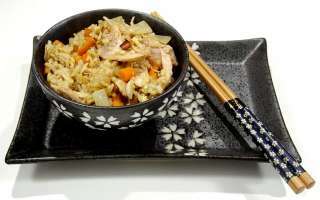 Video Recipe - It is a dish that only takes 10 minutes to make. So it is fast and it tastes really well. An Asian classic that we eat too little of here in Denmark. Potatoes and meat is typical of the danish leftover dish "biksemad/pyttipanna". Rice and meat leftovers is in this Asian equivalent. 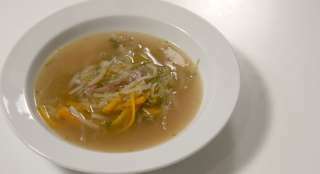 Video Recipe - Basic soup / julienne soup is a simple vegetable soup which is very similar to the Italian minestrone. With a few changes it IS a minestrone. But I do usually this simpler version, and I'll just throw in whatever extra ingredients to spice it up a bit. The classic brown sauce must be made with a heavy dark stock with the right herbs. Then it will be good! A few stock cubes and a spoonful of sauce darkener just doesn't cut the mustard. Some times the fermentation times in your recipe just doesn't fit with the schedule you have for the day. Wouldn't it be nice to know how to change the times then? As a rule, I would also like to use as little yeast as possible when I bake, but it must also fit into everyday life. So it'd be nice to be able to change fermentation times by adding more or less yeast. I have had some difficulty finding the exact info on what influence the yeast have on the fermentation times, also in relation to how much fluid there is in the dough. So here's a little biology report with my own experiments. 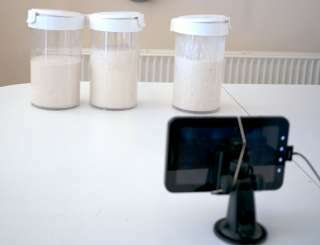 And with lots of videos of dough that rises:-S I'm sure this article is the most geeky I have ever made ... but I was curious. Video Recipe - A tomato sauce can easily become too complicated. You can actually make one that is *very* simple, quick and extremely tasty with just a few ingredients. This simple recipe has certainly become my absolute favorite tomato sauce. The kids love it. The adults love it. 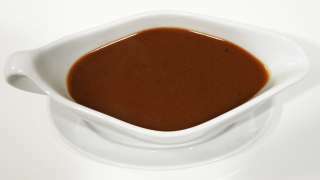 Chocolate Sauce! Whether it is on pancakes, ice cream or anything else. Warm, creamy and so easy to make that it is almost easier than not to.